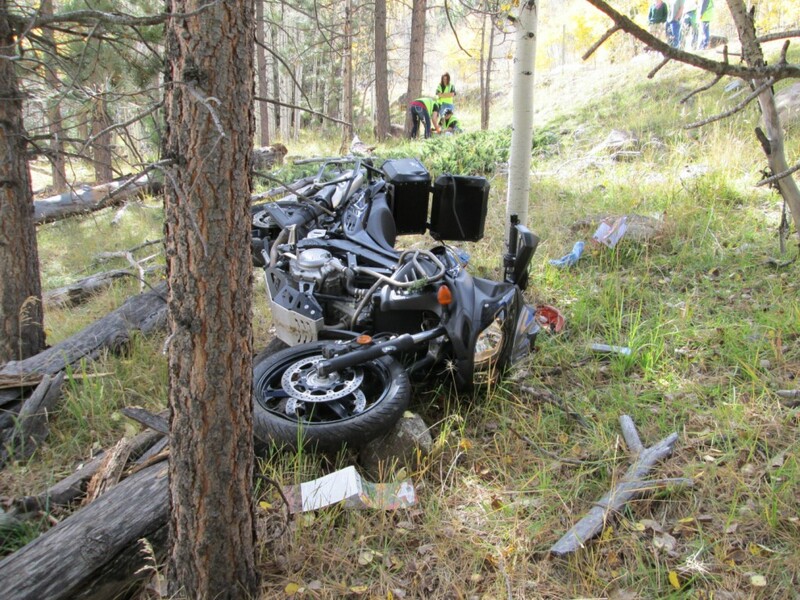 BOULDER – A motorcycle rider from outside of Utah died after crashing into a falling tree on state Route 12 about halfway between Boulder in Garfield County and Torrey in Wayne County Saturday. 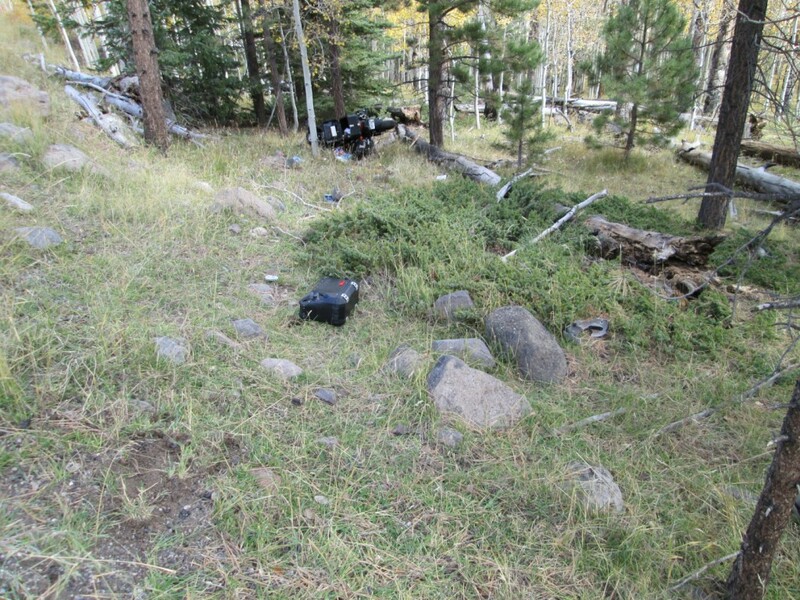 The man was traveling north on state Route 12 around 12:40 p.m. when he crashed into a falling tree,Utah Highway Patrol spokesman Joe Dougherty said in a released statement. The tree had been felled by a group of Boy Scouts with a permit for cutting down trees for firewood. It appears to investigators that this was a case of unfortunate timing, Dougherty said in the statement. The man was wearing a helmet, Dougherty said. He was pronounced dead at the scene. Identification is being withheld pending notification to the man’s family. 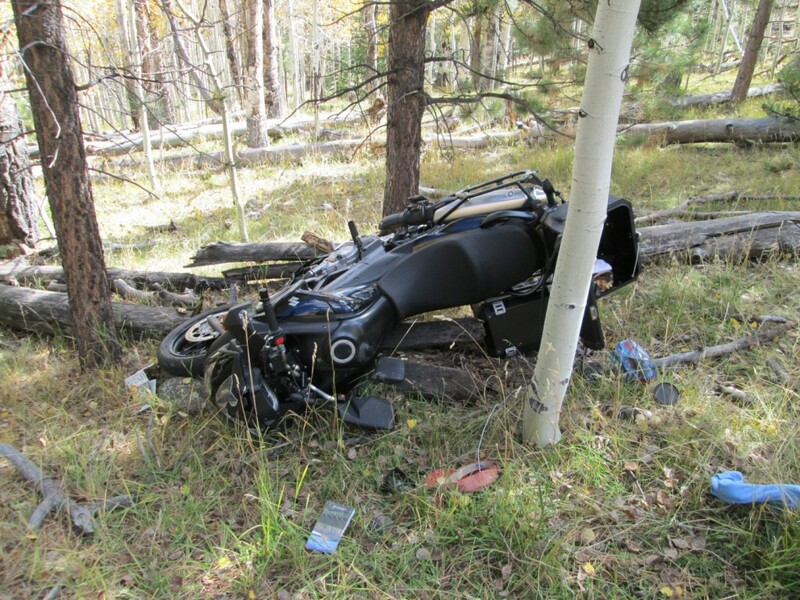 It appears the tree was falling when it hit the man on the motorcycle, Dougherty said in a telephone interview Sunday, and the man was confirmed dead by a doctor who was with the Boy Scouts. 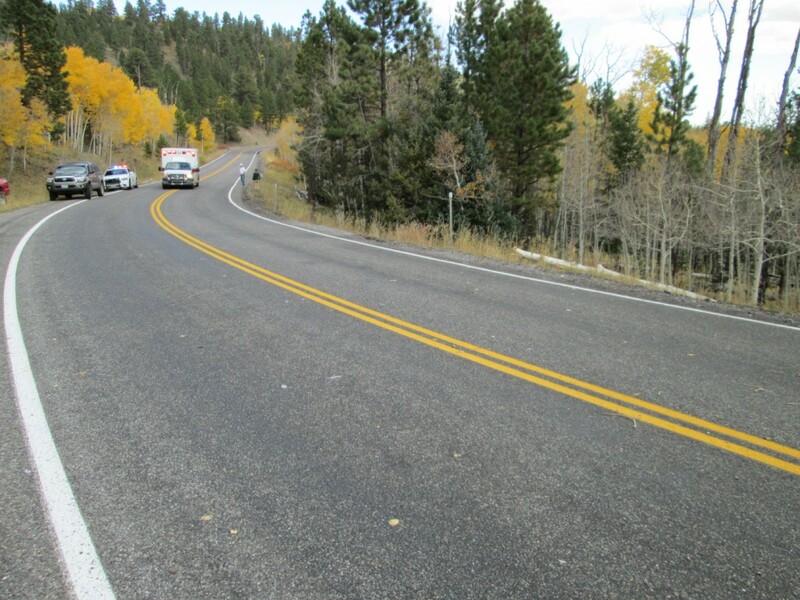 As far as issues concerning legalities as to whether the Boy Scouts were too close to the road or whether they needed to set up cones or flares as warning devices for passing motorists, that will be determined by the Garfield County Attorney, Dougherty said. Ed. note: This is a developing story. This report is based on preliminary information provided by law enforcement or other emergency responders and may not contain the full scope of findings. What made them think it was ok to fell trees onto the highway? That is more than bad timing, that is negligence. The fact that the boy scouts had a permit is not going to bring any comfort to the man’s family. So much for also having common sense, which is what I thought the scouts were there to teach. RIP to this man and prayers for his poor family. “A case of unfortunate timing” – so the Boy Scouts were cutting the tree in the minutes before this happened, or were they attempting to move it, or did they leave without taking care of it? So, the tree was falling as he passed or was already felled when he hit it? This story seems poorly written and is hard to make sense of. I agree with the previous comments, this story was at best poorly written and at worst lazy work by the writer. How about a photo of the tree that caused this crash? Why were no precautions taken by the scouts to warn traffic of the dangerous conditions they had created? The State and the Scouts both should be sued by this man’s estate. We appreciate the questions you and others are asking, Bobber2. Our sourcing is directly from a statement released to media by UHP. We will pursue some clarification for all of you. Poorly written article at best. I ride and especially enjoy riding Rt 12 so this piece got my attention but, I have to agree with Lance. Why be so quick to post before you know enough to write the article. What happened to “Who, What , When, Where, Why”? I see this often. Does anyone other than the person writing the piece read it before it goes on line? Yes, and the story – which is still developing – has been updated Sunday midday. Please refresh to see further clarification obtained from the UHP. In the media’s rush to be first to break a story truth becomes the first casualty. Or in this case here, coherence. By publishing a factoid at a time they get you to keep returning. I figure the adults that were supervising these “boy scouts” may very well be criminally negligent and liable for the man’s death. I mean come on…you have to be nearly retarded to fell trees onto a well-traveled highway. But again, their worthiness may buy them a get-out-of-jail free card in that LDS controlled county. The only mention of religion in this story is your comment? Obsess much? You need to branch out and diversify. Negligence? Writer casts a tone of innocence. Nice try. Criminal negligence killed a man using a public roadway. Call it what it is and file charges, and let the civil lawsuit be the largest in history. Or maybe the rider and his family would think I am being a bit harsh. After all its the Utah standard, to “share the road” Why not name the scoutmaster, such a hero. Just unfortunate timing. Good luck. Charge the scouts involved as adults. Something has to change. Scout national office must deactivate this troop. Or what merit badge did they all just achieve? Lets see some kind of an award as well for the Sheriff if he is negligent enough not to charge all involved. Oh I forgot they had a permit! Well the whole article was written off what Utah Highway Patrol spokesman Joe Dougherty said, and he probably knows all those involved, so there’s no way for him to be impartial as an investigator. Looking at the photos; it seems clear that the rider was not speeding. It looks like the bike has no serious damage. It looks like you could pick it up, do a little adjusting and ride it back up to the road. Cutting a tree that could fall on to the highway doesn’t make any sense at all. Why would you be cutting down a tree that could fall onto a traveled roadway? This sounds very irresponsible to the average person. The Boy Scouts have made a lot of poor decisions lately. Maybe the scouts thought it was okay to down trees on the highway. Kind of like they believe it’s okay to have gays be the leaders of a pack. BOTH ARE WRONG. Maybe it’s a gay troop I here they can get away with murder. Why is there no part of the tree in the road? I look at the pictures and having cut firewood there would be piece on wood, bark, dirt, and pieces of limbs. You don’t drop a tree on black pavement and not leave evidence. Oh Wise One Bobber tell us what happened to the evidence since you know it all. They had to cut a tree down for firewood.? What there wasn’t already enough dead wood on the ground..
To all the people complaining that the article is poorly written, or not enough of ” who, what, when, where, why”; What is it, that YOU don’t understand about the statement: “This is a developing story, based on preliminary information provided by law enforcement and may not contain the full scope of findings”??? If you’re going to complain, then maybe you should learn how to read, first! That bike looks like a dual sport. I don’t see any rational reason for a scout master who is also a doctor to be putting trees in the road. Has anyone considered that the biker could have been on a trail and not on the road? That would make a lot more sense of the position of the bike, what the scouts were doing, etc.